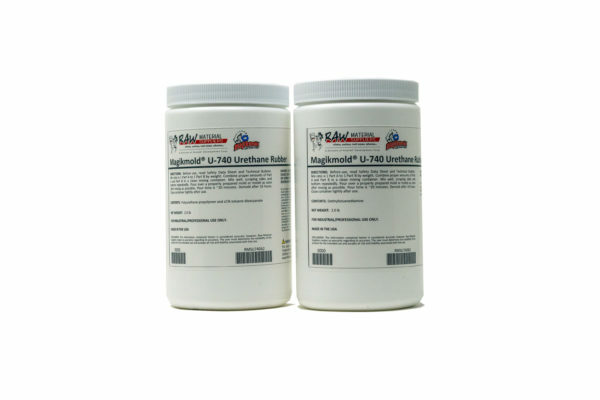 Magikmold® U-740 is a room-temperature curing (RTV), two-part, Shore A40 urethane rubber that can be used for many mold making and casting applications. 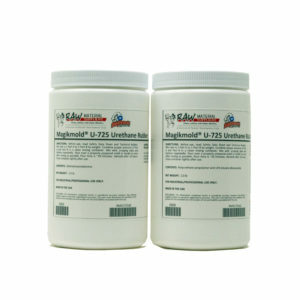 Magikmold® U-740 is a room-temperature curing (RTV), two-part, liquid urethane rubber designed for the manufacture of flexible molds and parts. 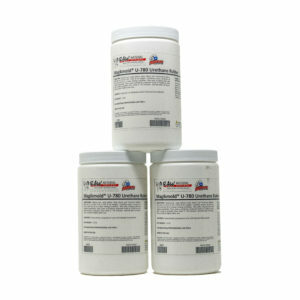 This rubber has a Shore A40 hardness, 20-minute pour time, and 16-hour demold time. Magikmold U-740 is a pourable rubber, but can be thickened with Fumed Silica to make brush-on molds. 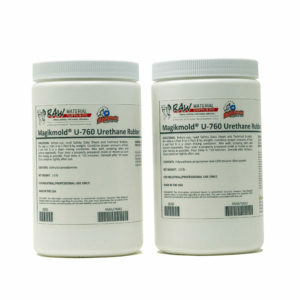 Release agent is generally not necessary for casting plaster and some waxes in U-700 Series molds. For resin casting (e.g., Magikast® Fast Cast Resins), first spray the mold with a suitable release agent (e.g., Stoner E-236 Urethane Mold Release) and brush with a dry brush to ensure thorough coverage. For concrete casting, use a suitable form release – avoid solvent-containing release agents as they can cause the mold to shrink or swell.